Each December, the Smithsonian hosts a two-day holiday festival with special events in Washington, D.C. 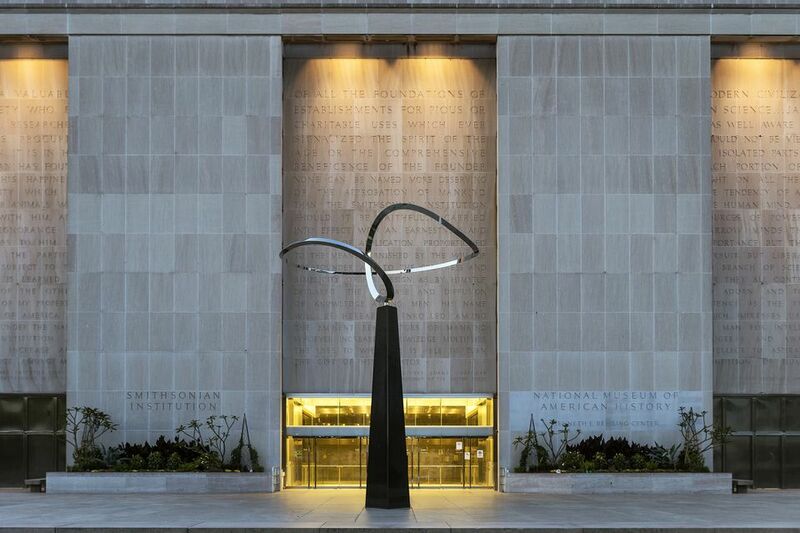 The 2018 event will be held at the National Museum of American History on the National Mall and will feature family-friendly entertainment including a wide selection of festive events, exhibits, movie screenings and activities as well as seasonal décor and festive food. Musical performances by U.S. Air Force Band Max Impact and U.S. Air Force Band Airmen of Note Combo. Other highlights include chocolate sampling during a demonstration by Mars Heritage Chocolate and more. Dates and Times: December 1-2, 2018, 10 a.m. to 5:30 p.m.
National Museum of American History, 1300 Constitution Ave NW, Washington, DC. The best way to get to the National Mall is to use Metro. The closest stations to the Mall include Smithsonian, Federal Triangle, Metro Center, L’Enfant Plaza, Federal Center SW, and Archives-Navy Memorial. Parking is very limited near the National Mall. For suggestions of places to park, see a guide to parking near the National Mall. See a map and directions to the National Mall. Live Music - USAF Band Max Impact - December 1, noon, 1 p.m., 2 p.m. Flag Hall. USAF Band Airmen of Note Combo - December 2, noon, 1 p.m., 2 p.m. Flag Hall The United States Air Force's premier musical organization is a reflection of the excellence carried out 24 hours a day by Airmen stationed around the globe. Each member is proud to represent all Airmen, whose selfless service and sacrifices ensure the freedoms we enjoy as citizens of the United States of America. Since its formation in 1941, this world-class organization has inspired billions of listeners through its exhilarating music, engaging concerts and masterful recordings and continues to positively impact the global community. Cooking Up History - December 2, 1- 3 p.m., Coulter Performance Plaza, 1 West. Enjoy a demonstration of Midwestern foods and flavors with two different cooking demonstrations. First, learn about historically significant foods in a child-friendly demonstration with celebrity cook and author, Tanya Steel. Tanya will be discussing recipes featured in her book "Food Fight!" and will sign copies after the demonstration ends. After, the author of "American Cake," Anne Byrne will make several desserts popular in the midwest. She will also sign copies of her book "American Cookie" after the demonstration. Mars Chocolate Demonstrations - December 1, 10 a.m.-5 p.m., Main Museum Store, 1 Center. "From Bean to Bar" program includes a demonstration and chocolate sampling. Sounds of Faith Musical Performances - December 2, 2:15 p.m. Coulter Stage. A free special holiday installment of the Sounds of Faith music series. Local Cantor and singer Arianne Brown will perform traditional Hanukkah songs and share stories about the origins and traditions of the holiday. Afterwards enjoy a performance of jazz and gospel renditions of Christmas classics by Afro Blue, Howard University's vocal jazz ensemble. Hanukkah music recalls the holiday’s traditional lighting of the menorah in commemoration of the dedication of the Jewish temple in 165 B.C. Arianne Brown is the Cantor, a Jewish musician trained to lead a congregation in songful prayer, at local synagogue Adas Israel. Fluent in Hebrew and Yiddish, Cantor Brown is also an expert Torah and Megilah reader, pianist,composer, and theater director.